The body of a woman found buried under a paintball field yields more questions than answers as the investigation into her death reveals even she didn't know who she was. On the domestic side, Booth and Brennan adjust to sharing space with each other… and her growing stomach. A competitive eating champion's body is found shortly before the next major competition. Following a disagreement over the baby, Booth and Brennan attempt a little role-playing. Back at the lab, Brennan's new assistant seems a mismatch, despite his genius. The discovery of the CEO of a toy company packaged with his toys gives Booth and Sweets access to the company's headquarters as they search for the murderer. Elsewhere, Brennan is concerned about her fitness as a mother and Sweets is concerned about his gun certification test. Dismembered remains are discovered in several mailing boxes at a dead letter office, and the Jeffersonian team identifies the victim as an employee of a local Ship 'n' Print, where the staff recently split the winnings of a lottery prize. The team uncovers a complicated love triangle between two married employees and the victim, and while motive points to the husband a critical clue leads them to solve the crime definitively. The team discovers the remains of a so-called "storm chaser" who seems to have died while following a tornado. But footage recorded during the storm ultimately leads them to believe he was murdered. 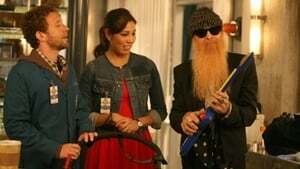 Meanwhile, Booth becomes increasingly overprotective of Brennan both at home and in the field, and sleep-deprived Angela and Hodgins come to terms with having Angela's father and rock musician babysit their infant son. A cryptic message penned in human blood is discovered at a national monument. As the Jeffersonian team embarks on a scavenger hunt to solve the case, they realize their tech-savvy suspect remains one step ahead of them. Meanwhile, Booth and Brennan search for the perfect home for their new family. With the help of Special Agent Genny Shaw, the Jeffersonian team identifies the remains of a discount shopper and “extreme couponer” who was dragged along the road by an 18-wheeler. Meanwhile, Brennan is adjusting to her first day back at work after giving birth, and Cam disapproves of her daughter’s romance with intern Finn Abernathy. When a corpse is found at a landfill, dyed in a blue substance, intern Arastoo Vaziri discovers a method that helps eliminate postmortem damages to the corpse, which leads the team back to a hair salon where the victim worked. Meanwhile Bones is feeling uncomfortable in her post-baby body, so Booth decides to do something special to boost her self-confidence. The corpse of a truck company employee is found in the middle of the woods. 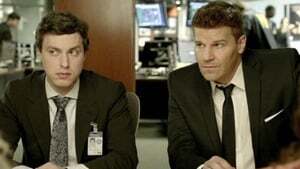 After the victim’s son is questioned, Booth and Brennan visit his karate class in search of a motive. Back at the lab, Hodgins is going overboard purchasing lab equipment. Then, Booth’s son Parker returns from England and Brennan is apprehensive about how he’ll react to his new baby sister. When a corpse is found in the middle of the woods, the team links the victim to two families that have been feuding for almost a century. Brennan and Booth interrogate a family member with a shocking confession that leads them to a motive for the victim’s murder. Meanwhile, Brennan has a difficult time accepting her father’s offer to babysit their infant daughter because of his unpredictable presence in her own childhood. A film adaptation of Brennan's latest book takes her and Booth to Los Angeles for the production, where Brennan criticizes the acting and disregard for science, but the trip takes a strange turn when a prop cadaver happens to be a real murder victim. "Hacktivist" and suspected serial killer Christopher Pelant is back in court, but the team's efforts to pin another murder on him don't go as planned.